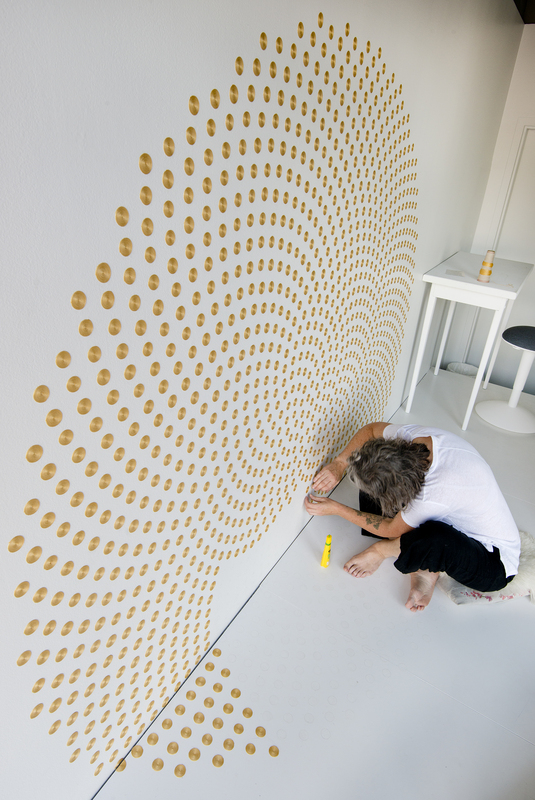 1597; Harmonious Frequencies is a performance-based installation to be implemented in the Project Space over the course of twelve weeks. 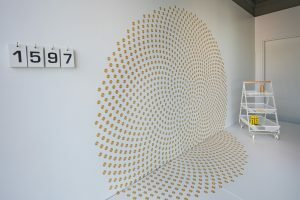 Working within a clean and minimal space, the artist will create an 8-foot diameter representation of the Fibonacci Sequence, which references the golden ratio found throughout nature. 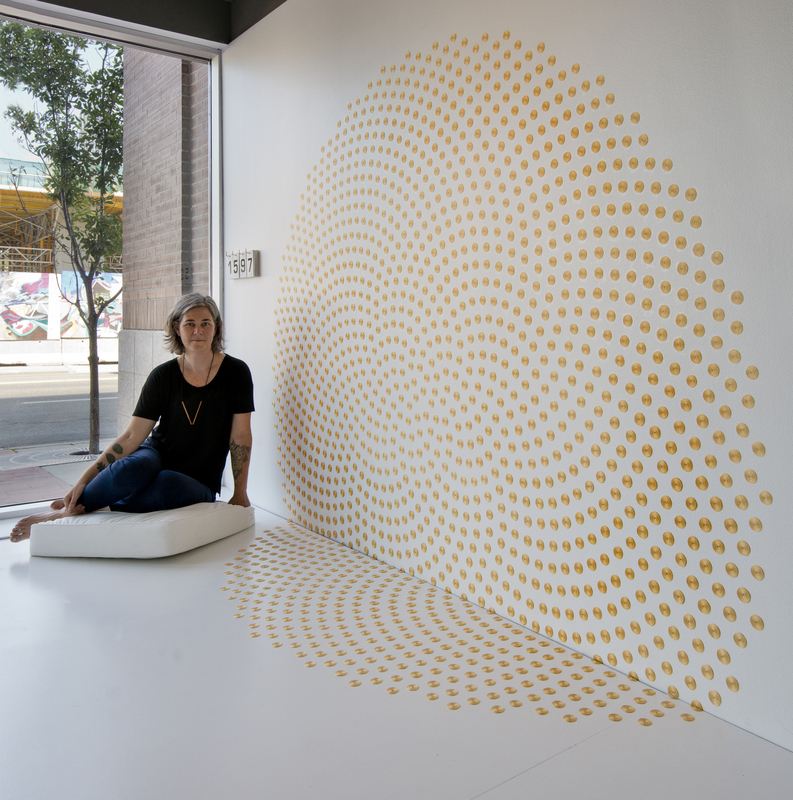 The pattern is made up of 1,597 dots configured in two sets of spirals that radiate in opposite directions. 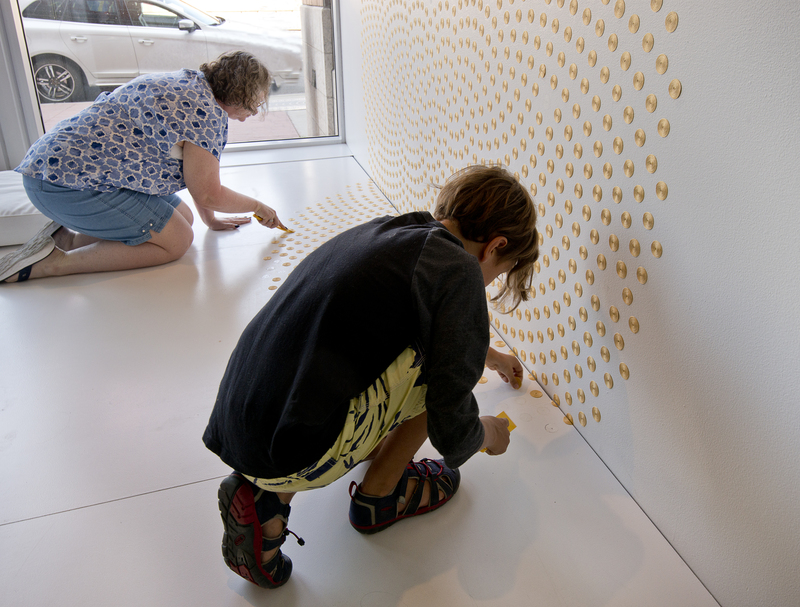 Each dot is created by wrapping a golden thread around itself and adhering it to the wall. 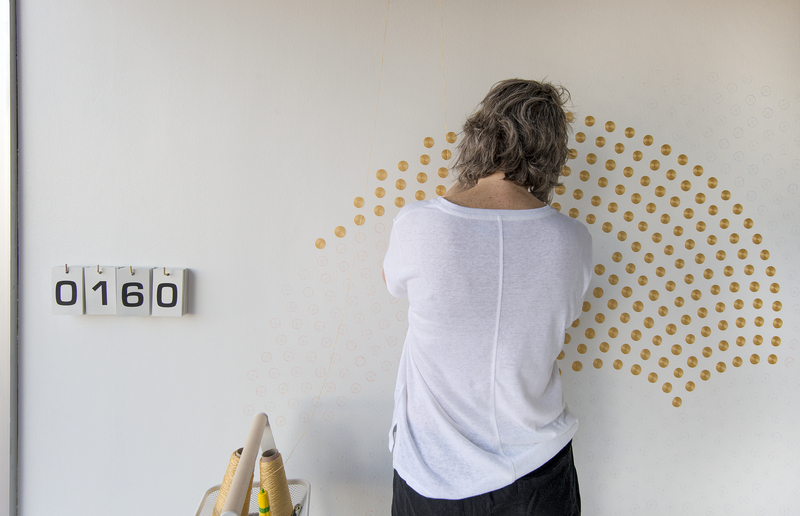 The performance of labour and the arrangement of the artist’s tools are precise and considered; the monotonous nature of the action is physically challenging and requires self-discipline to achieve a consistent and high level of craftsmanship throughout the project. 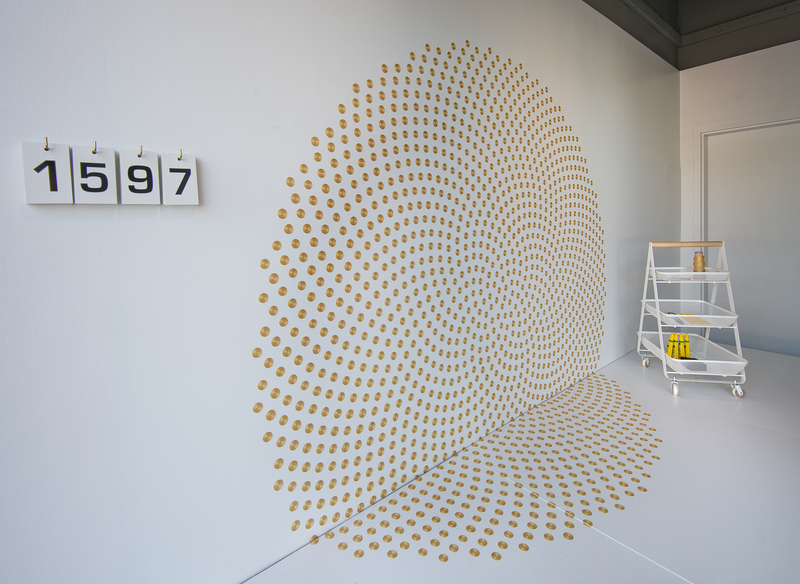 The methodical distribution of the Fibonacci pattern exemplifies an exacting natural order that references growth and the flow of energy. 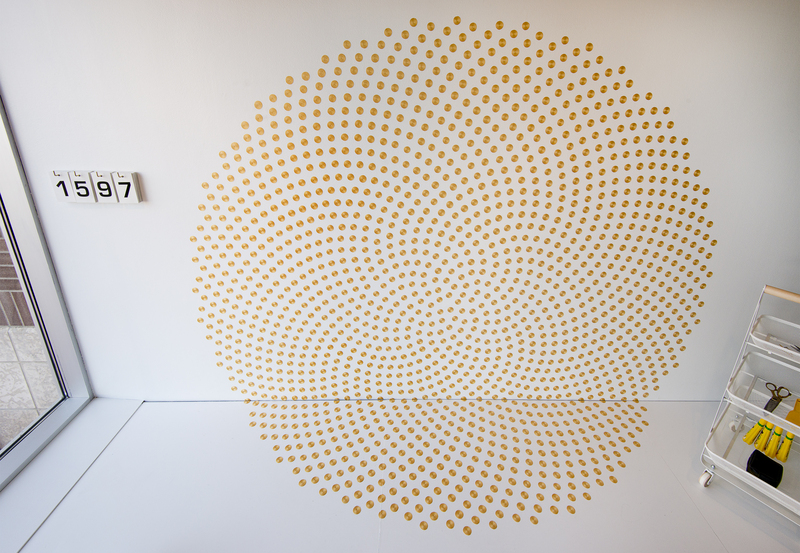 The physical reproduction of this pattern also alludes to ideas of organized chaos; the pattern is pre-established leaving only the repetitive action of producing the work. 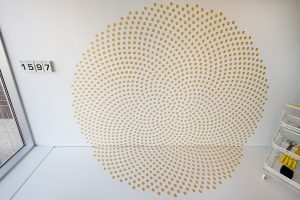 Throughout the course of the exhibition, as the dot spirals grow and change, the audience will have the opportunity to enter the space, talk with the artist, and view the work up close. 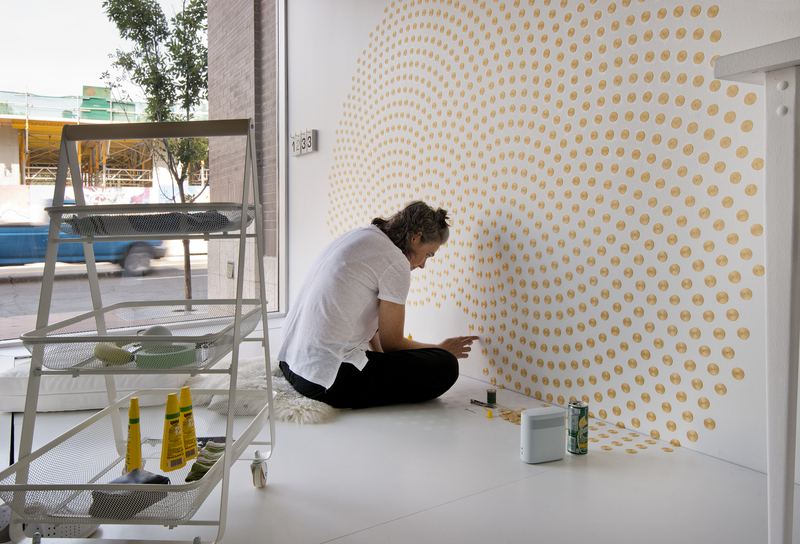 At the end of the exhibition, once the pattern is complete, each dot will be removed from the wall leaving nothing behind but time-lapse documentation of the performance. Jolie Bird is a textile artist who lives and works in Calgary, Alberta. She completed her MFA at NSCAD University, Halifax in 2013 and had also studied at the Alberta College of Art and Design, Calgary and Capilano University, North Vancouver. 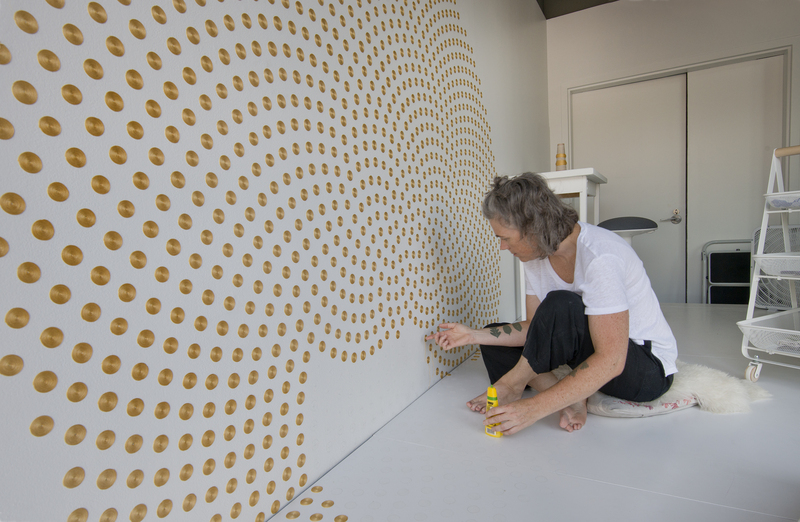 Bird works predominantly with textiles and fibre but also includes other mediums, found objects, and installation into her practice. 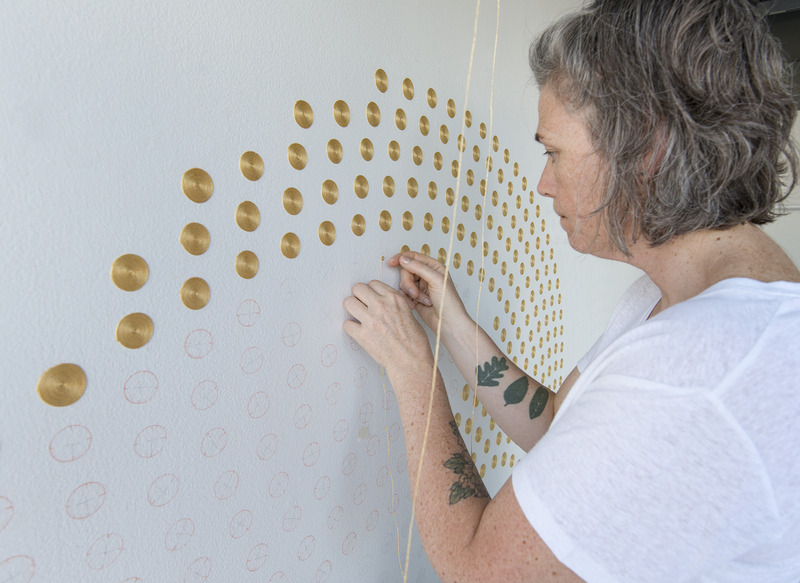 She is drawn to slow techniques like hand stitching, weaving, and wrapping for the investment of time needed to complete the work. 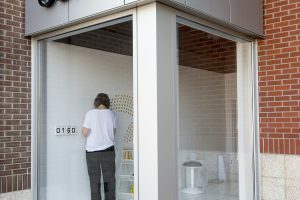 Repetitive and slow building in nature, the process becomes mentally and physically demanding, while at the same time feeling intuitive and somewhat meditative. 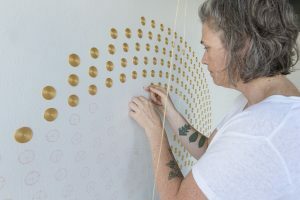 Working slowly with simple tools and only her hands, she forms an intimate and tactile connection with the artwork. 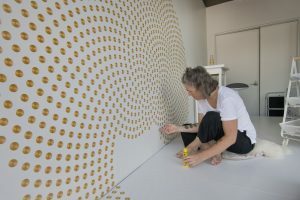 Her work has been exhibited locally, nationally and in the United States. 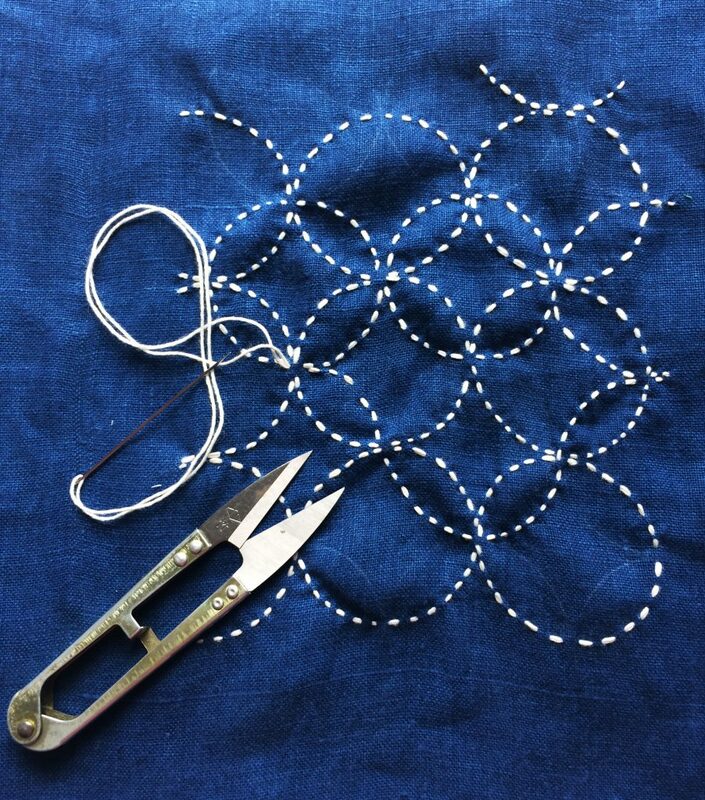 During this day-long workshop, participants will explore ‘sash(i)ko,’ a rural hand stitching technique from Northern Japan. Working with traditional patterns and natural fabrics from Bird’s collection, participants will work on a stitch sampler alongside a centerpiece or wall hanging. All materials will be included. Participants must be over the age of 16. 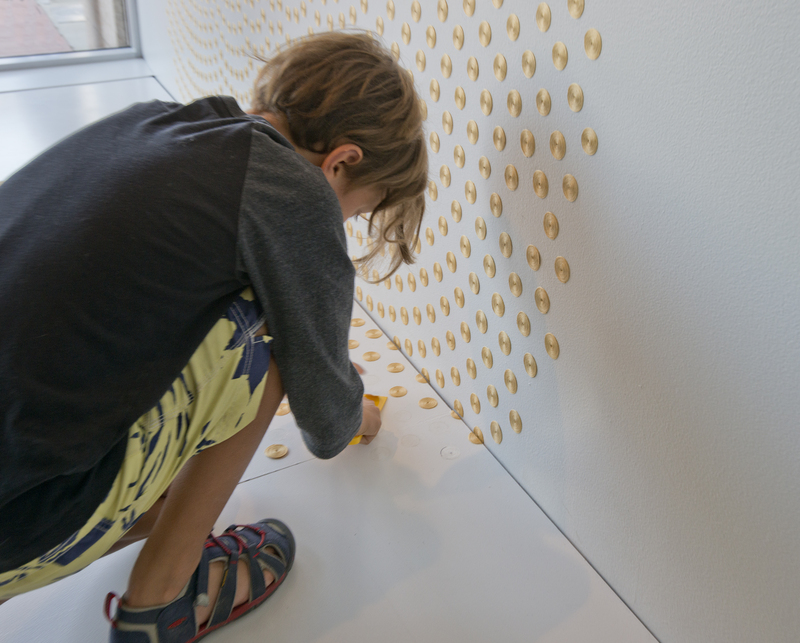 Join d.talks, in collaboration with Esker Foundation, at PLACEHOLDER. 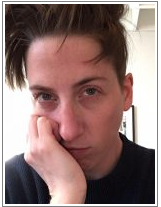 This is an unconventional book club where we present the theme of the afternoon and you bring your own book, poem, or object that you feel best articulates that theme. 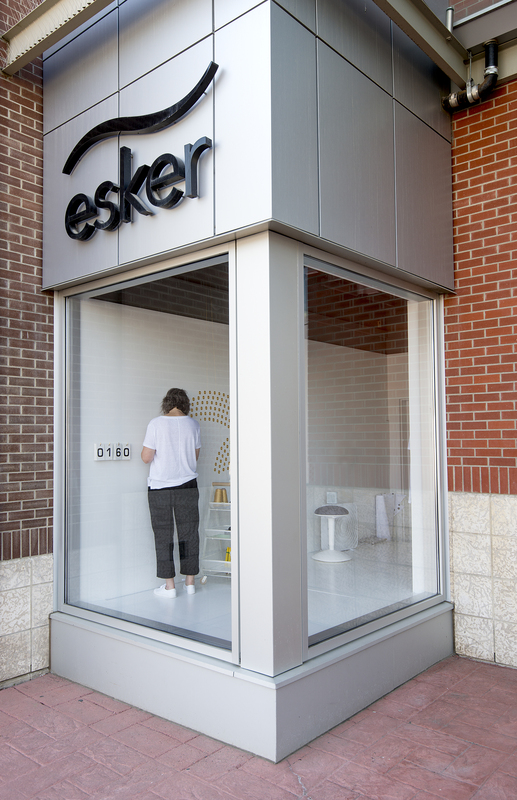 This is an opportunity for Calgarians to critically discuss and identify how the city and citizens affect and are impacted by local and global themes borne out of the work of Esker’s current exhibiting artists. Let’s form a new narrative in Calgary together! 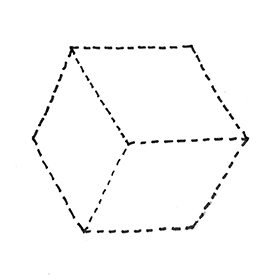 The theme of this PLACEHOLDER will be Thresholds. In this talk, Bird will discuss 1597; Harmonious Frequencies, an ongoing performance-based installation in the Esker Project Space. 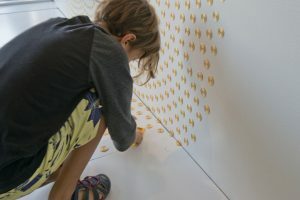 Bird is interested in performing slow building techniques with simple to no tools over a long duration of time. 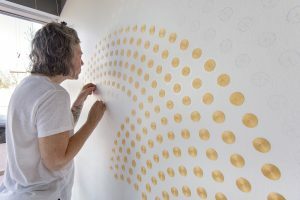 Her work explores the physical and mental effects of carrying out a repetitive process, the perception of time, and artisanship.